April 08, 2016. The Wedding Images of Tara and James, taken at The Santa Lucia Riverclub at Ballantrae in Pt St Lucie, Florida. 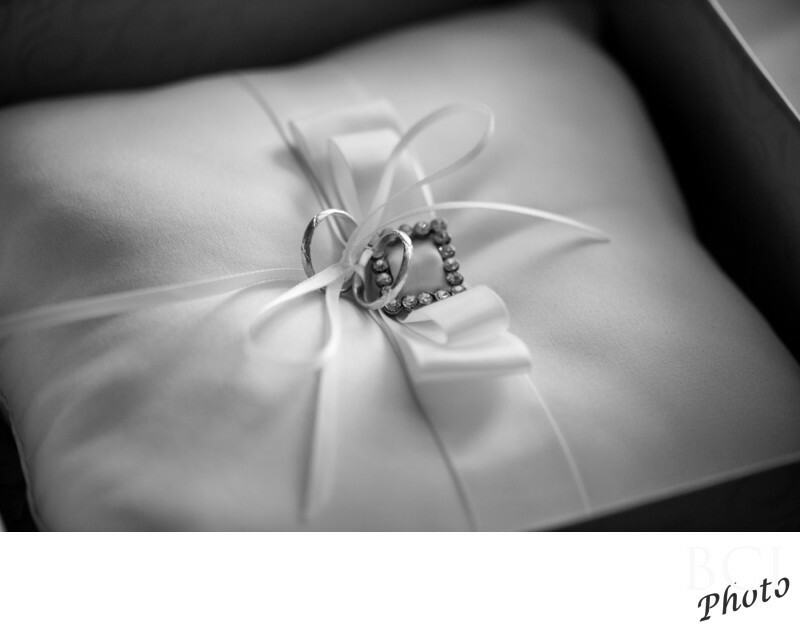 Showing a black and white rendition of the wedding rings tied to the pillow for the ring bearer to carry down the aisle.